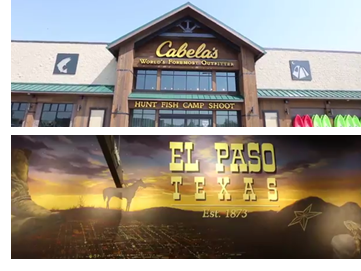 ​​​​ ​​EL PASO – The Cabela's outdoor sporting goods chain has opened its first El Paso store this month—the first retailer to open in the $100 million West Towne Marketplace. The 50,000-sf El Paso outlet is one of its smaller-format stores, which is now the chain's focus. The 500,000-sf West Towne Marketplace is located at I-10 and Paseo del Norte (Artcraft Road) in West El Paso.